Salty almond butter and chocolate rice crispy treats | Gluten Free? Gimme Three! Regular rice crispy treats are one of my favorite things. They’re gooey and buttery, and I can eat about 20 of them in a sitting. This is a dressed up and more decadent version that was inspired by these salted marcona almond bars from spabettie. In a large saucepan on low heat, melt butter, adding almond butter, vanilla, and salt, and stirring until completely melted. 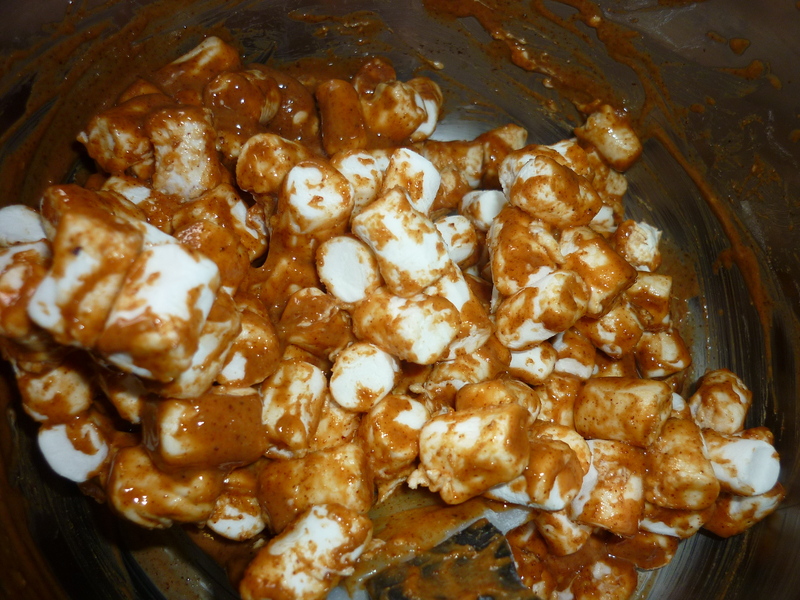 Add marshmallows and stir until melted. Remove from heat and add cereal, one cup at a time until incorporated. Press into prepared pan, let cool. 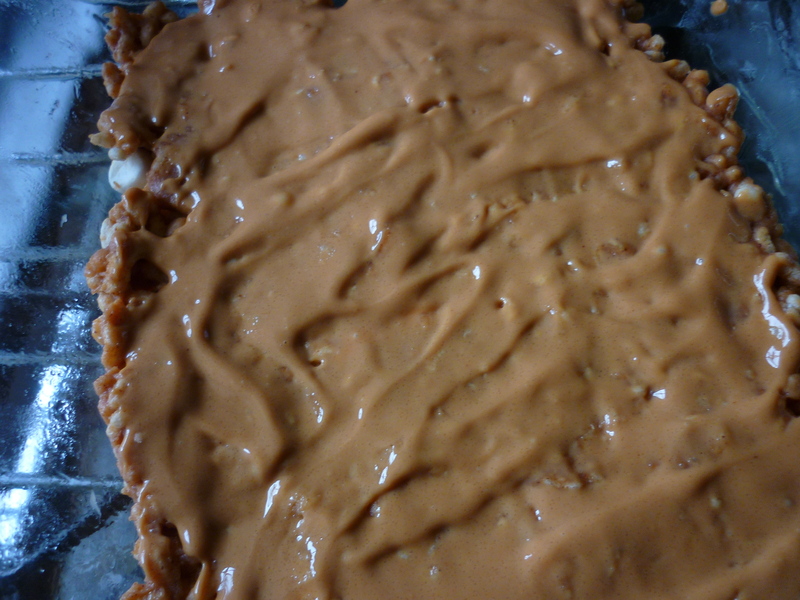 Melt peanut butter a bit in the microwave and spread over top. Let cool. Cut bars into squares. Melt chocolate and drizzle or pour on top of each bar. Try not to eat ten at once. 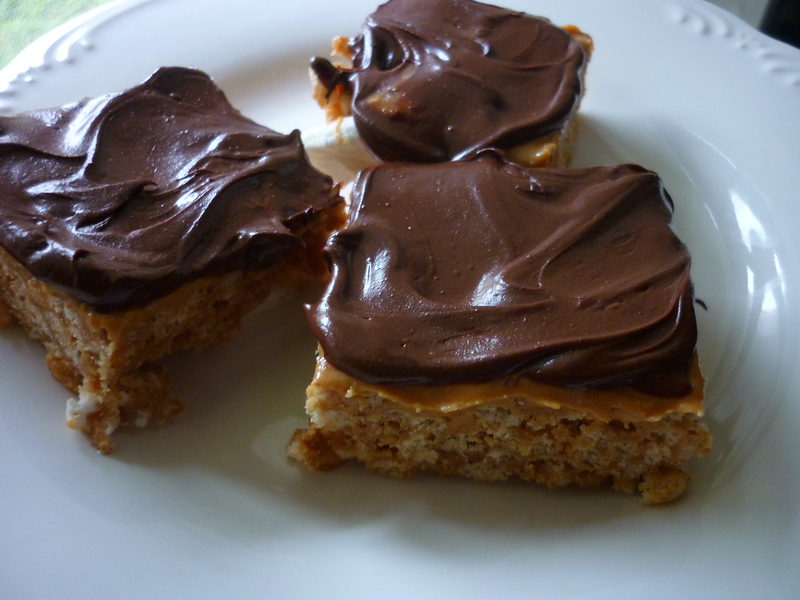 This entry was posted in Recipes and tagged celiac, chocolate, dessert, Gluten-free, peanut butter. Bookmark the permalink. They look amazing- they must taste great. 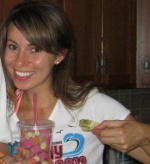 I can see why you can eat so many! They ARE amazing! I love things like this that I can freeze and have on hand when a craving strikes. Hope you enjoy!